Michael Schumacher is one of the greatest F1 drivers of all time, having scooped the World Championship title seven times. But the racing legend suffered a traumatic brain injury following a skiing accident on 29 December 2013, with details of his condition and health remaining sparse as the family remains silent on his progress. 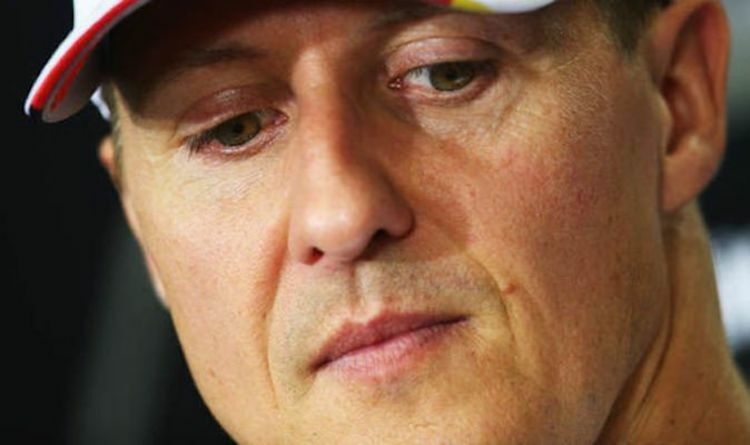 Despite Schumacher’s wife Corrine revealing her struggles in a rare letter in November, regular updates on the Ferrari driver’s condition remain thin – prompting teammate Sebastien Vettel to appeal to his old friend and colleague. Speaking in German magazine Blick, Mr Vettel spoke of how a conversation with the legendary sportsman "would help me extremely” as he continues his quest to win the F1 World Championships. When asked if the Ferrari driver still misses Michael, Mr Vettel said: “Yes, that is still true. Michael has spent many years in Maranello [Ferrari headquarters] and his spirit keeps hovering over the team! “With Michael I would now speak the language of the driver and not the technician. Michael recovery has been kept a closely guarded secret, with his family preferring to keep his condition – and recovery - out of the public eye. When asked if he had been to visit the championship-winning driver, Vettel said: “No." Blick also asked Vettel about his opinions on embattled German Chancellor Angela Merkel, who recently stepped down as leader of Germany’s Christian Democratic Union CDU party. Meanwhile, last month Michael’s son Mick – seen as the new future of the Schumacher racing dynasty – paid tribute to his father by describing him as his “idol”. Mick told ARD in a documentary about the race: "If I'm honest, I'm very happy to be compared to my dad. "As I've said many times, he's my idol, I look up to him." It has not been ruled out that the driver will return to the sport in the future, as fans wait with baited breath for a glorious return. But Schumacher's wife Corrine opened up about the health of her husband in a rare letter, in the run up to the five-year anniversary of the accident. She thanked well-wishers around the world for supporting her family through what she described as a “difficult time”.